Patricia Lewis received a Bachelor of Science in Nursing from East Carolina University in Greenville, North Carolina in 1998. In 2002 she received a Masters degree in Nursing from East Carolina University and was certified as a Family Nurse Practitioner. Patricia was a Registered Nurse with Pitt County Memorial Hospital in Greenville, North Carolina and Beverly Hospice of Pitt County prior to joining the Carteret County Health Department in November 2002. There she provided direct patient care for adults and children as a Family Nurse Practitioner. 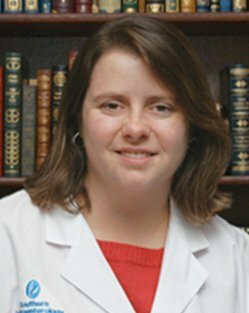 She is nationally certified as a Nurse Practitioner and is a Registered Nurse with the state of North Carolina. She joined Coastal Carolina Health Care in October 2005. Patricia has been married since 2005 and has two children, Maggie and Michael Jr. She enjoys spending time with her family at the beach and is active in the Eastern NC Chapter of Girl Scouts.